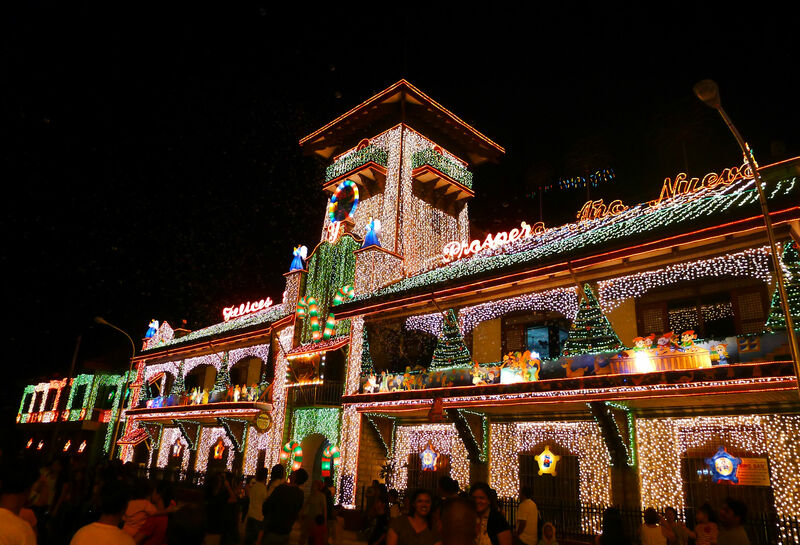 Last December 30, a friend of mine from Manila came to visit Zamboanga City for the first time. Straight from the airport, we took him on a short tour around the city to acquaint him with its sights and sounds. I snapped several photos while we were driving around and would also like to share these with you, especially to those who have never been here. First stop is La Vista del Mar ("The View of the Sea"). 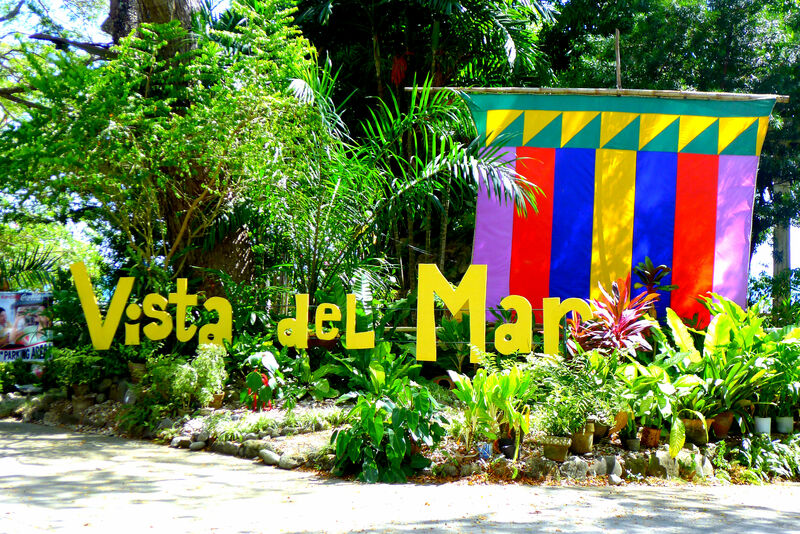 This resort is a popular swimming destination for locals as it's conveniently located only 15 to 30 minutes away from the town center or pueblo. We went here often when I was a kid. I was happy to note so many changes for the better during my visit. I haven't been here for years! Walking around, I found a sad little mermaid waiting to be noticed. We had lunch at the Vista del Mar restaurant. 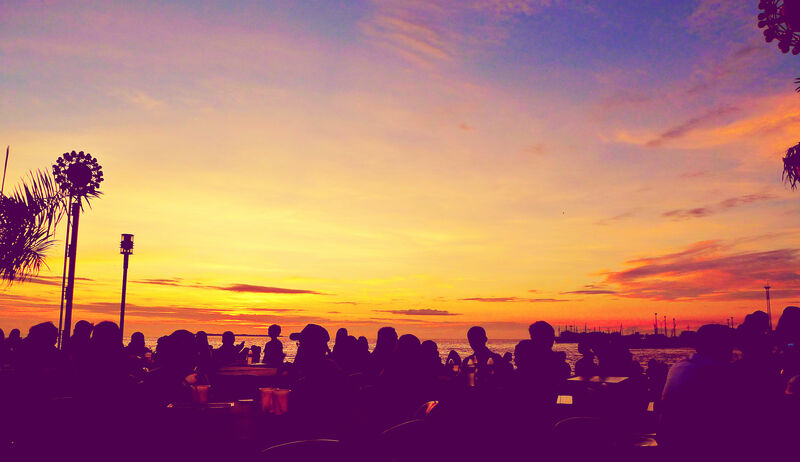 The food took a while to arrive so good thing the magnificent view of the sea kept us occupied. 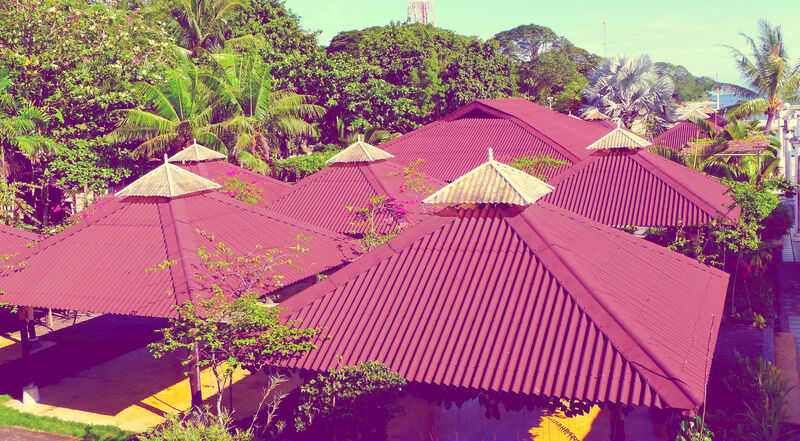 I thought the view of the cottages' roof tops looked really pretty too from where we sat. Got lost for a bit while searching for the Yakan Village. I didn't mind though because the smell of the sea breezed through the open car windows. I love the smell of the sea! Then we were off to Pasonanca park. We dropped by the aviary to check out the birds. Entrance fee is only PHP5!!! Had a lot of exercise strolling down the tree-lined paths of Pasonanca. 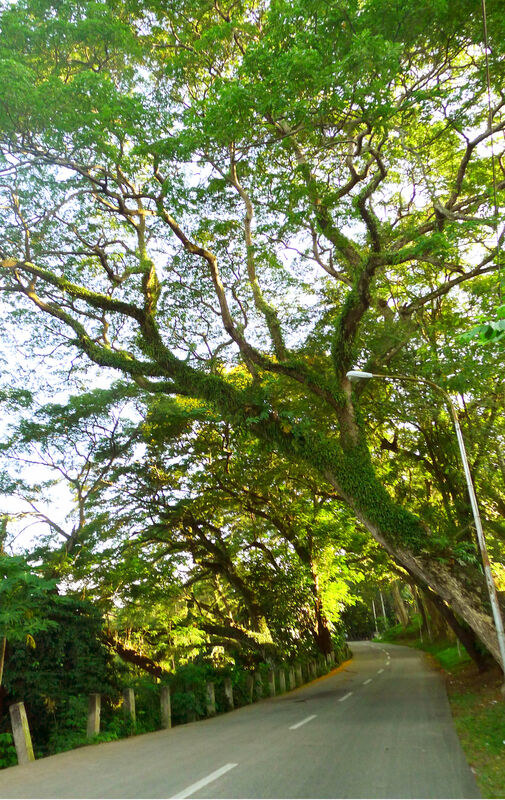 I've always thought that trees are beautiful, hence I make it a point to stop and admire the beauty of an aged tree. We had to stop by this famous landmark in Zamboanga City. 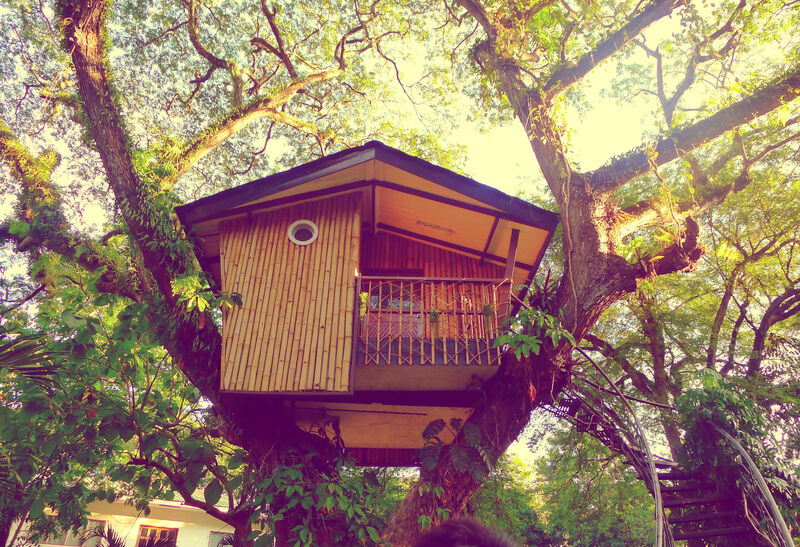 The Pasonanca tree house was built in 1960. Amazing how it withstood the passing of time. 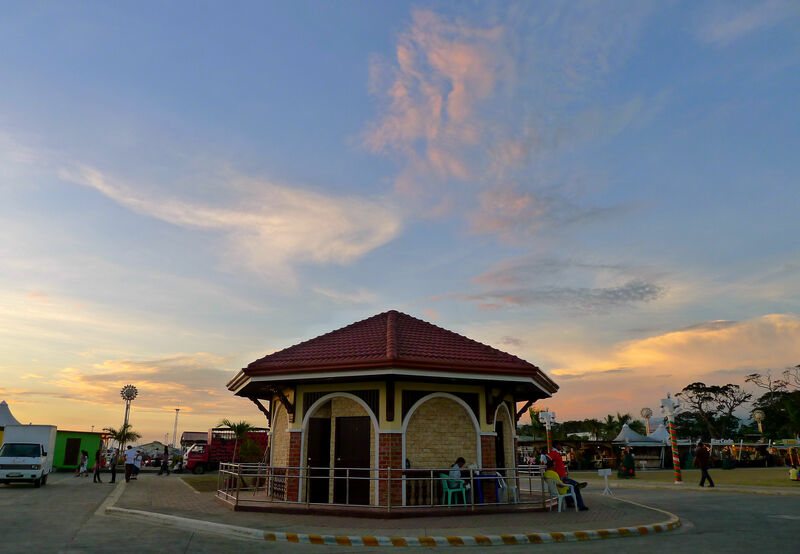 Before dusk settled in, we drove to the pueblo to check out Paseo del Mar (Street along the Sea) - a recently constructed community area along Cawa - Cawa Sea. 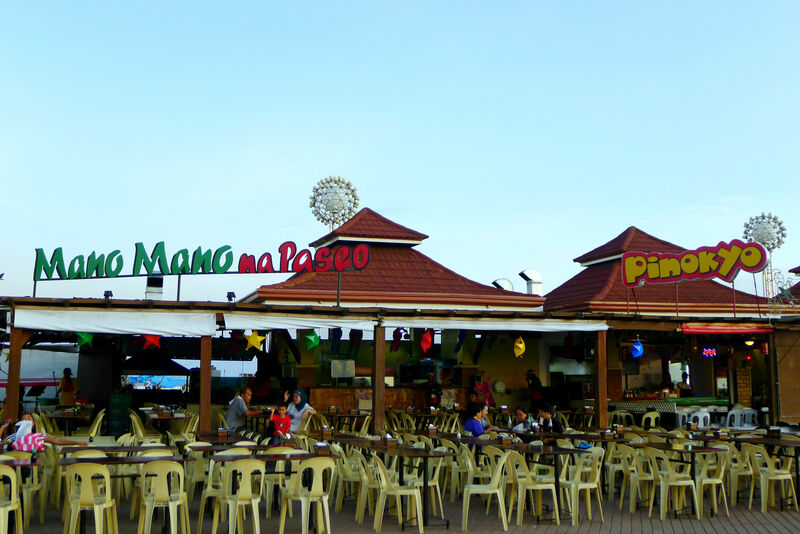 It's a great place to hang out with friends or family while having a meal overlooking the sea. A must-try here is the knicker bocker from Palmeras. 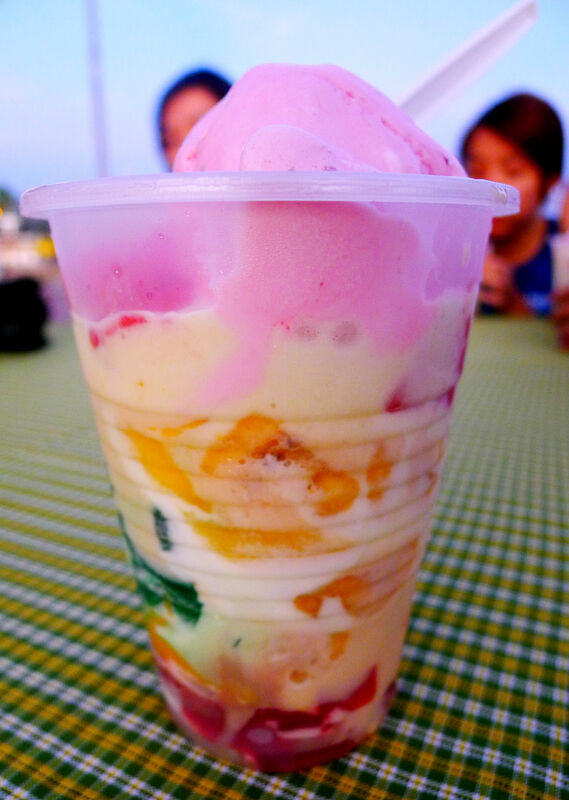 It's a popular dessert in the city comprised of fresh fruits, jelly, a generous splash of condensed milk and cream, plus a scoop of ice cream on top. 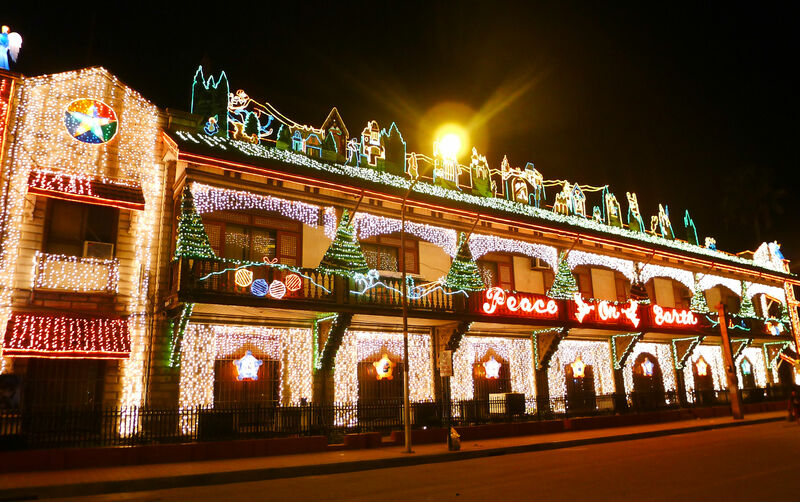 Although my friends and I separated after our snack at the Paseo, my aunts and I went back to the pueblo to see the city hall lighted at night. The city hall was built by the Americans back in 1905. Construction finished in 1907. Right in front of the city hall is the Rizal park. 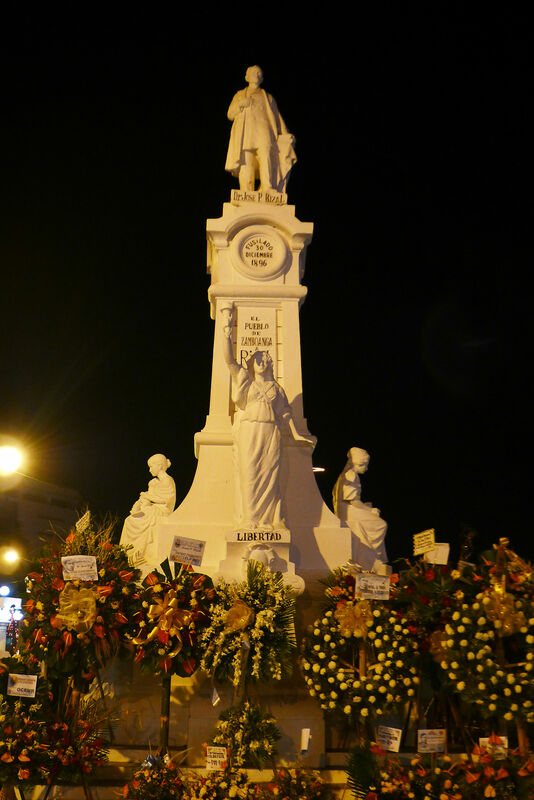 Since we commemorate the death of our national hero on December 30, several flowers can be found around his statue. On our way home, my aunt showed us this very intriguing site. 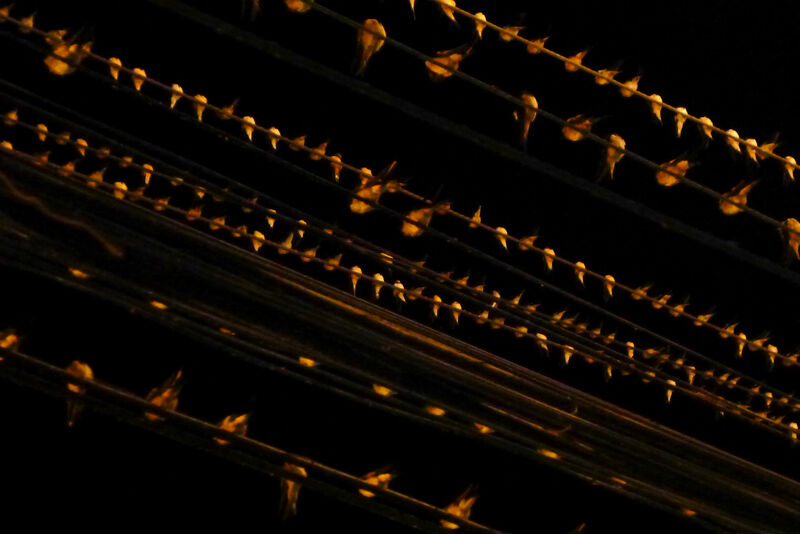 Every late afternoon, for reasons unknown, a huge flock of migratory swallows always fly to the city to spend the night perched atop these electrical wires in the city center. It's really a sight to behold. wow. nice post Mich.. thanks for helping the tourism industry of the city..
No problem, Tita June! 😀 Thank you! What a beautiful places and wonderful food you have in zamboanga City, someday i’ll visit this place….. thanks for sharing..
love the photos. 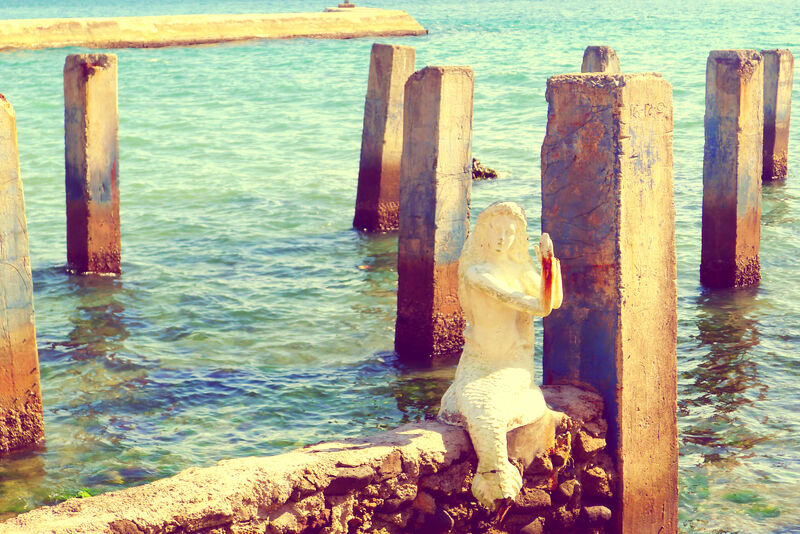 I always had been to the latin city of asia as they say but never found the mermaid. haha. san to? thanks for this post about Zamboanga. I live in pagadian the city after it. you my dear have just inspired me to make a video… hopefully i can ‘hire’ my dad to drive me around..
Yay, glad I inspired you! Can’t wait for that video. I just know it’s going to be awesome!!! i’ve heard a lot of good things about zamboanga, i have few students who hailed from the place too. Someday I would love to see zambo. Truly beautiful! I know for a fact that boyf would enjoy it there. 🙂 Thanks for sharing. I wish you and your blog all the best for 2012. You’ve never been to Zambo pala? 🙂 Wishing you all the best as well 😀 Stay lovely! Been to Zamboanga once. Mag-isa lang ako. That was the time na magulo “daw” sa Zamboanga. Nachallenge lng akong bisitahin ang place nyo. Sobrang ganda. Feeling ko dyan din matatagpuan ang mgagandang babae. Kakaiba ang ganda nila at ambabait. Taliwas sa balita, sobrang tahimik dyan. 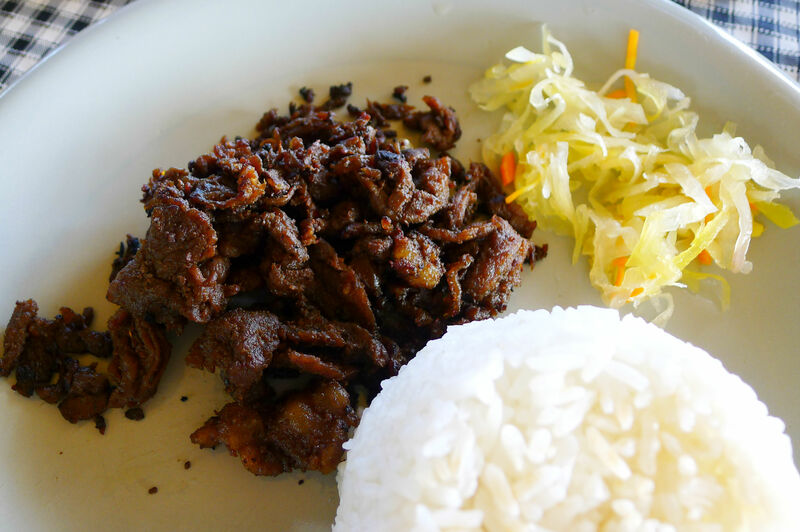 ANg sarap ng pagkain. Lalo na yung Sati ata yun. Yung maanghang na sabaw. Hehehe. there’s a lot of beautiful things i heard about zamboanga… i’ve been there once but we had to leave asap due… sayang di ako nakapamasyal ng husto… but hope i can visit it again… Yahweh bless. I had been to Zamboanga City long time ago but I may be there soon. I’m glad to see the pictures you posted here. 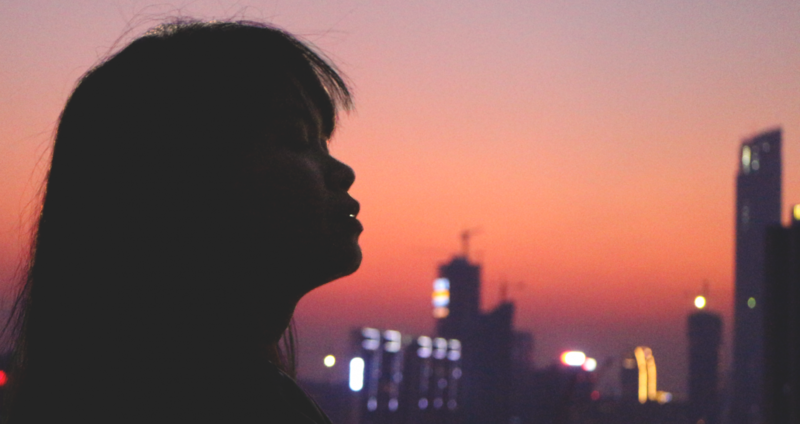 I hope I could contact you if the plan pushes through. Hahahaha Kumain ka ulit doon? 😀 What did you do there? Wow! this is spectacular. One of the places that I need to visit soon.. thanks for sharing. Wow! What a view of Zamboanga. I’ve never been in your place. The place that I visited in Mindanao several years ago was Dapitan City and Dakak beach resort.. Anyway, as I read your blog and gradually browsing the pictures posted here I presumed as if I was the one who was been toured around the beautiful places in ZAmboanga. I love them. 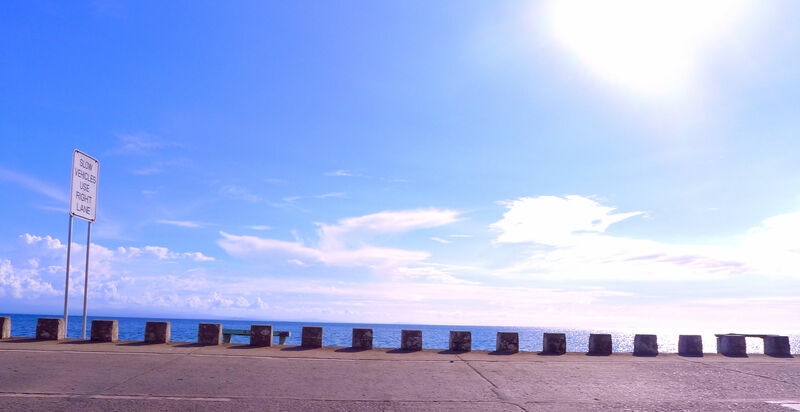 love the photos of zamboanga! 🙂 go go zamboanga..
ang ganda nga ng zambo. my parents are not Zamboangueños. pro pareho nilang ngustuhan dito tumira. thanks to them. try mo kumain ng pastil sa may baliwasan.malinis and masarap. pastil and satti namiss ko nung tumira ako sa manila. di mxdong msarap ung satti sa market2. kasi nde pwedeng humingi ng extra sauce.hahaha. More Power on supporting our Tourism Mich, may God Bless you and protect you! ang daming photos at ang gaganda.a short tour at ZAMBOANGA.hope to visit yuor place someday. wow ! beautiful zamboanga! thanks for sharing! i will be in zamboanga on march ! exciting na exciting na ko ! beautiful shots and beautiful place… it’s always on my list to go to. keep on being an ambassador of the country! nice shot sa mga ibon.. pag dumidilim na. dumarating na rin cla.. halos lahat na ata ng zamboangueno nabiktima ng pupu nila. I love the photos above. They really look beautiful . Specially the bird and the trees there. I have friends in Zamboanga, seeing this I definitely need to visit here. Once I have the cash I’ll definitely travel every province in the Philippines. It’s one of my many goals. haha. Excellent post! great shots (my favorite would be the tree-lined path of Pasonanca)! Nasurprise nga lang ako sa last photo…akala ko banderitas lol. 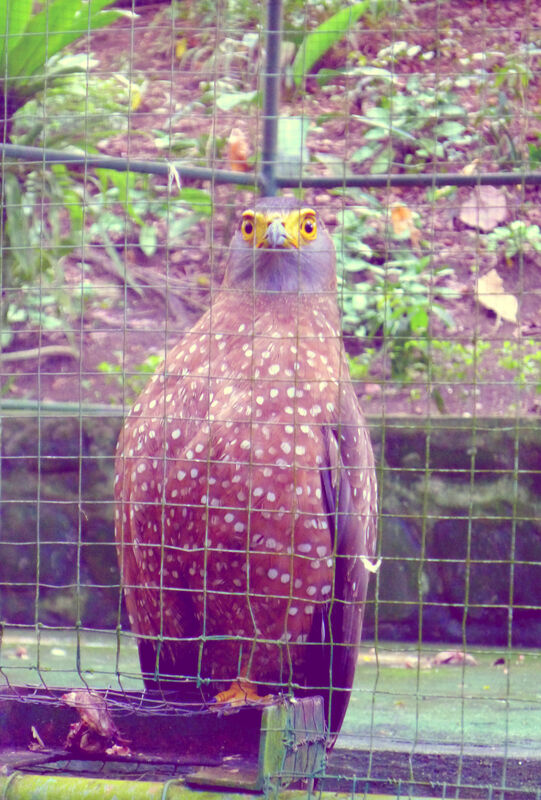 birds pala :)) Zamboanga is definitely a must this summer! it would really be nice if zamboanga enhance it more. thus, keeping it safer to stay. ahahaha. 😛 though i may say, i find zamboanga peaceful and beautiful in many wayslike the satti and kulma. grr. 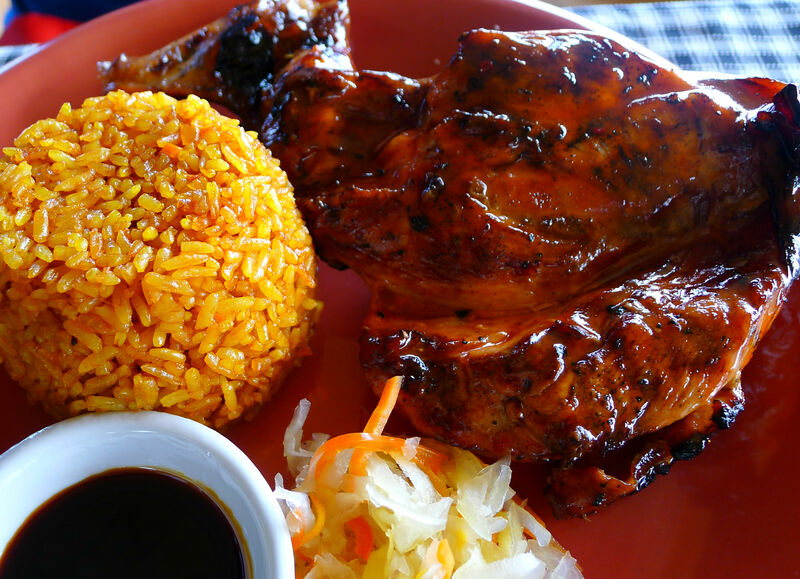 you should have gone to ecozone. its really nice there. Beautiful photos! 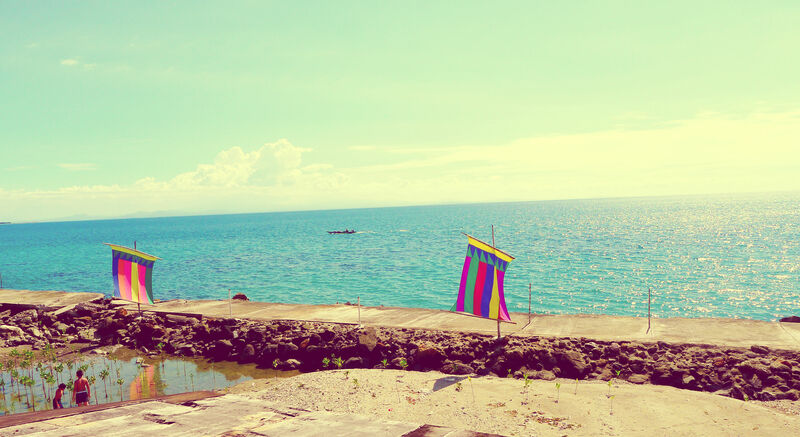 Zamboanga is on my to-go list pa, hope to see its beauty up close soon!